LICENSE # VFT/MA/27210. 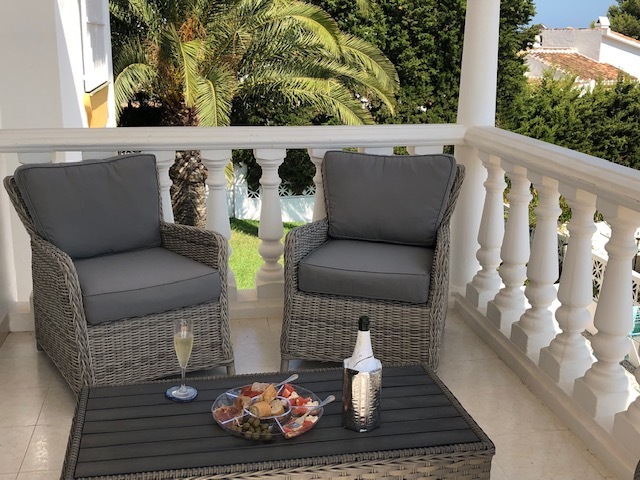 Villa Mia is a NON SMOKING 3 bedroom luxury private villa with a superb private pool area and sea views. UK TV, WiFi and is fully Air conditioned. 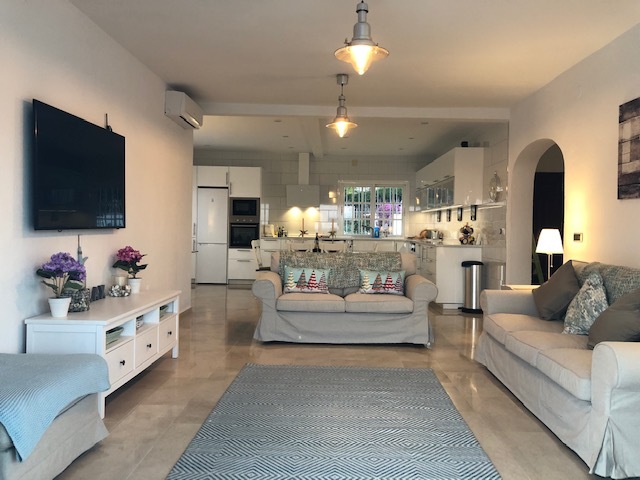 Beach, restaurants, bars & shops are nearby plus access to the tennis court. 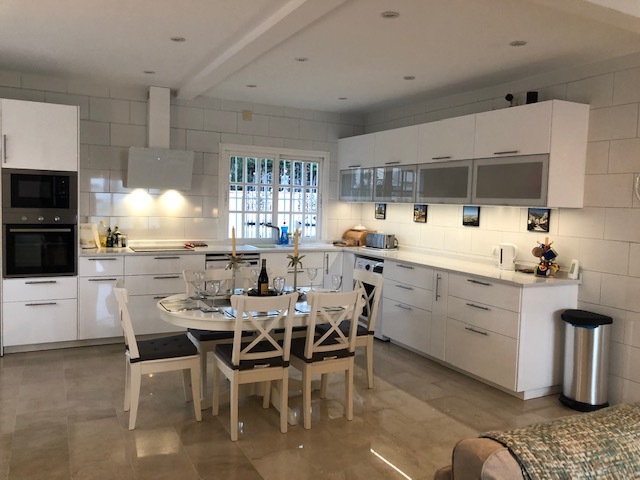 A Luxury Villa in the Torrenueva area of La Cala de Mijas. 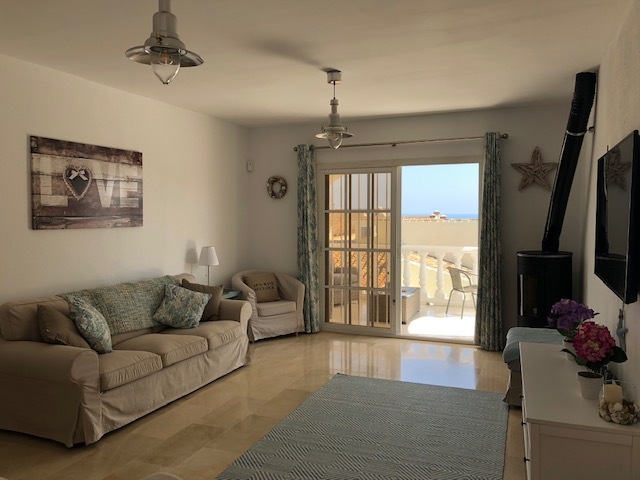 The villa enjoys sea views and although it is in a quiet location it is only a few minutes walk to the beach, local bars, supermarkets and restaurants. 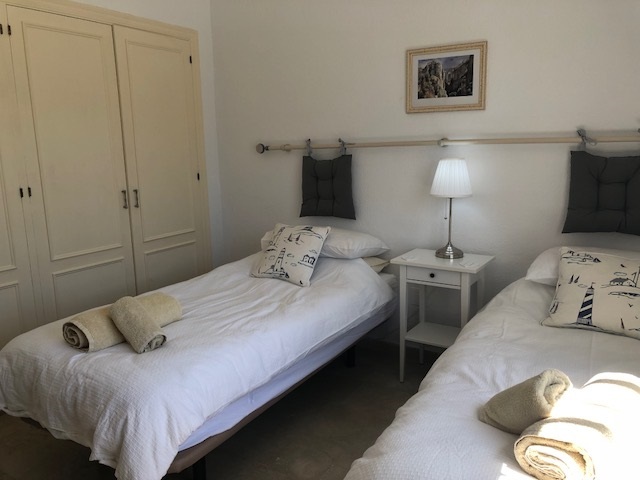 The villa has 3 bedrooms, 2 x double + 1 x twin, including a full facility all on one level with a wet room which is particularly suitable for the elderly or infirm. 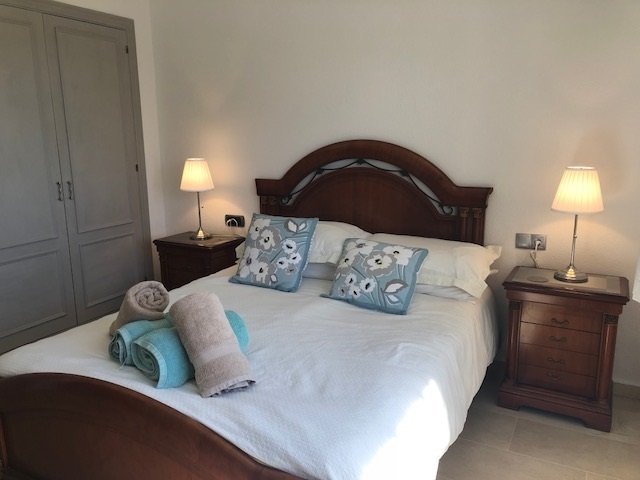 The property has private landscaped gardens, a beautiful private swimming pool with sun lounger area and BBQ, mini bar unit, hot tub, sun loungers & shades. The villas occupants have free access to a nearby tennis court. There are both inside & outside dining facilites plus a roof solarium. UK TV, WiFi, & full air conditioning is included free of charge. 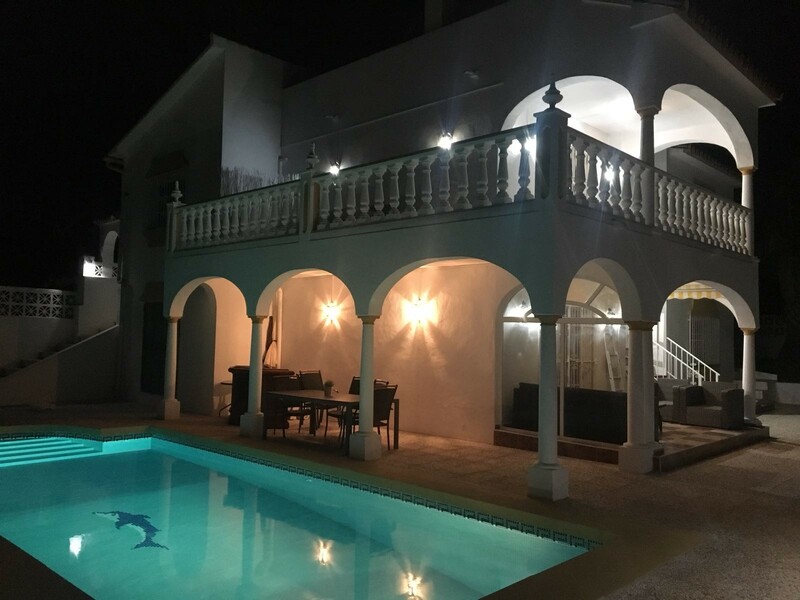 This is the perfect private villa for the hard working to unwind with family and friends. SORRY, we are unable to accept Stag or Hen party bookings.